Logitech’s Bluetooth Multi-Device Keyboard K480 works with smartphones, tablets, computers and more, all for $20.89, today only, originally $49.99. 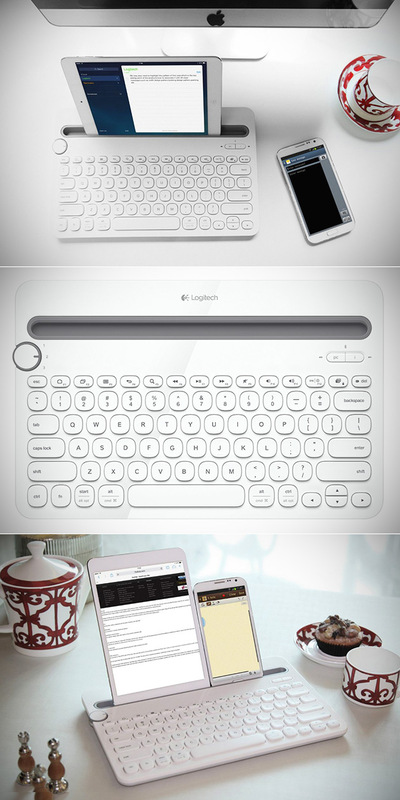 This unique keyboard with integrated smartphone/tablet cradle makes it a breeze to switch between devices – just turn the Easy-Switch dial to switch between typing. Product page. Continue reading for a full video review and more information. Imagine typing a long blog on your computer when you get a text from a friend on your smartphone. Now you can reply to your friend with the same comfortable, familiar typing experience you’re used to – and go right back to typing your blog – with the simple flick of a dial. More information.